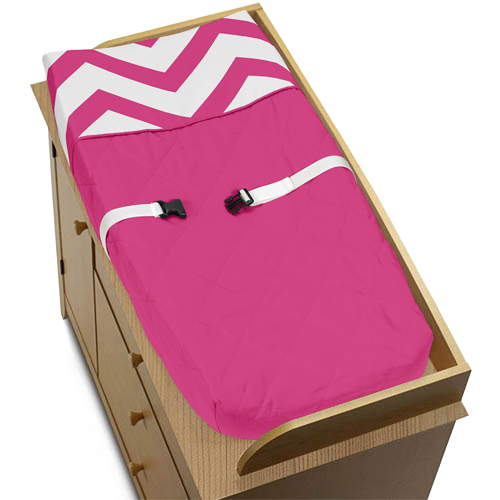 Pink and White Chevron Changing Pad Covers will help complete the look of your Sweet Jojo Designs nursery. This changing pad cover can be used with standard or contoured changing pads up to 17in. x 32in. It also has elastic edges for a tailored, snug fit.